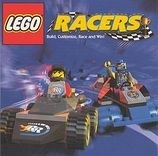 Lego Racers Return in 2009, but in What Form? We last heard about LEGO Racers in 2007 — NetDevil was remaking it as a flash game. But a LEGO fansite says 2009 boxes tease the game, and it sounds like a console release. Thanks to the early release of some 2009 LEGO sets, we now have confirmation for at least one new LEGO video game for 2009, LEGO Racers: The Video Game! The advertisement for the game, which features preliminary box art, can be seen on the top of certain 2009 Racers sets boxes. Systems the game will be released for have not yet been announced. Since these guys watch anything LEGO like a hawk, it sounds good to me. But the big question is, what did they see exactly? Is this going to be a console release, or is Lego teasing a Web site where you sign up, maintain your racer and play the game?